Istanbul is one of the most fascinating cities in the world. Bridging Europe and Asia, both physically and culturally, it has both occidental and oriental influences. The former Constantinople was the starting point of the Silk Road to China, and the riches of the trade flowed into the mesmerizing buildings that nowadays are major tourist attractions. Combine that with the awesomeness of Turkish Hamams and the great food, and it becomes clear that a visit to this city is your next step to heaven. 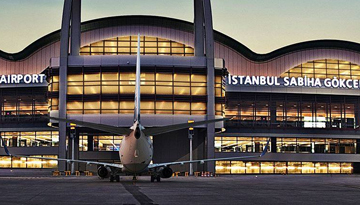 Although there are not that many low cost flights to Istanbul, scheduled services are plentiful and offer a great on board service, to find cheap flights to Istanbul it is often best to travel mid-week or on very early or late departures. This largest city and commercial centre of Turkey was originally founded by the Greeks around 660 BC, under the name Byzantium. Shortly under Persian rule around the 5th century, Istanbul fell back into the hands of the Greeks and was part of the Athenian League and later Athenian Empire until its independence around 350BC. Around 73 AD, Byzantium became part of the Roman Empire. In 324, Constantine the Great became emperor of both the Western and the Easter Roman Empire and made plans to replace the city, then called Constantinople. The city was proclaimed capital of the empire, which itself became known as the Byzantine Empire. In the following years, some of the largest and most stunning churches were built. One of them was the Haga Sofia, which remained the world’s largest cathedral for a thousand years. In the year 1453, the city was finally captured by Sultan Mehmed II and became the capital of the Ottoman Empire. The city thus quickly changed from a bastion of Christianity to a symbol of Islamic culture. The Haga Sofia is a symbol to that, as she was changed into a mosque and expanded with Islamic architecture. A visit to this iconic building therefore is a must on any trip to Istanbul! Some other must-sees from the Roman, Byzantine and Ottoman periods are the Sultanahmet Mosque, the Basilica Cistern and the Topkapi Palace, which are all close to the Sultanahmet Square. The Chora Church is one of the most beautiful surviving examples of Byzantine architecture. Of course, a visit to a Hamam has to absolutely be on your bucket list when you travel to Istanbul. But who would say no to relaxation, a body scrub and a good massage? Round off that day with a good tea and a Turkish water pipe in one of the many restaurants in Istanbul. Also, stroll around one of the many bazaars in the old town – with their oriental ambience, they are highly interesting places to go! Getting around in Istanbul is a breeze. You have the choice between an extensive bus network, trams, a metro with several lines and an extensive light-rail system. The best time to travel to the city is in late April, May and from September to November, when less tourists are there and the weather is great. There are many cheap flight tickets to Istanbul which are available at best price. You just have to compare flights to Istanbul from London and book your cheapest flight tickets to Istanbul which fits well within your budget. 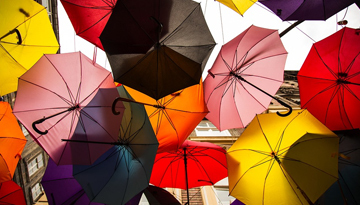 Flights to Istanbul with Lufthansa in Economy Light fares from £139 return including taxes. 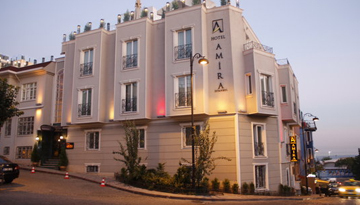 Just stay 3 consecutive nights at Hotel Amira Istanbul and save up to 15% - all days. Fly from London Gatwick - Istanbul & Stay for 4 nights with 5 star accommodation. Room Only.